Family Medicine CME Modules is organized by American Medical Seminars (AMS) and will be held from Jul 01, 2017 - Jul 01, 2021. All Audio/Video CME Modules are now available for Download or Streaming! Customize your CME course based on YOUR learning needs. It’s simple, choose from 16 Family Medicine CME modules across multiple specialties to include Primary Care, Family Medicine, Internal Medicine, Emergency Medicine, Hospital Medicine and Pediatrics! Each course is 5 AMA PRA Category 1 Credits™. Topics include content from Endocrinology, Sports Medicine, Psychiatry, Infectious Diseases, Dermatology, Neurology, Cardiology, Gastroenterology, Orthopedics, Trauma, Pulmonary, Critical Care, and more! 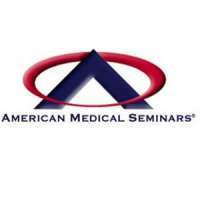 To learn more and purchase visit www.americanmedicalseminars.com!